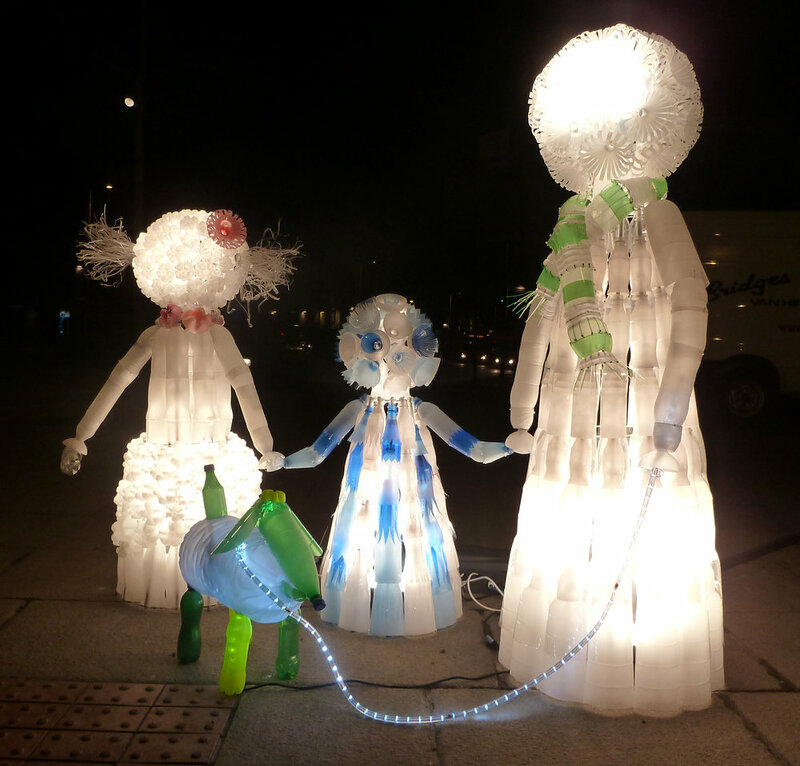 Sarah handmade a life-sized family from waste bottles for Light Night Nottingham. 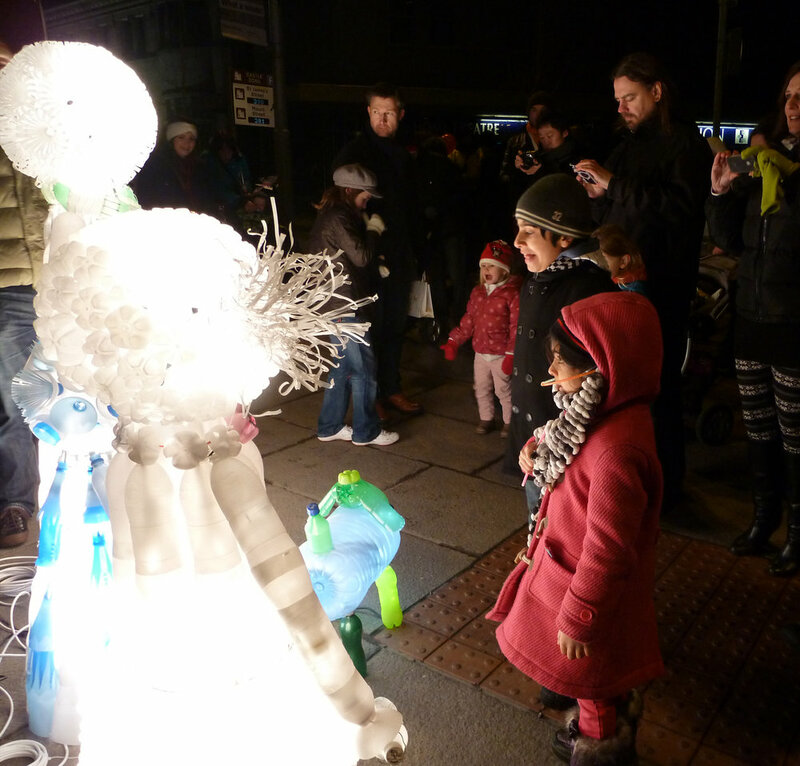 The annual event was a fantastic success with Sarah’s Plastic Bottle Family a main feature. 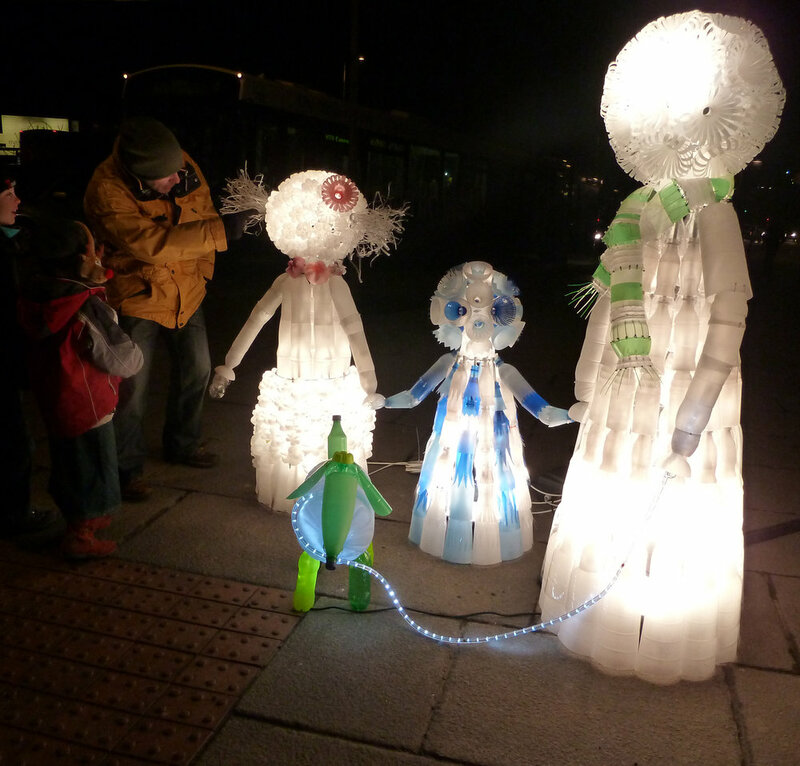 The bottle parent, bottle children and bottle dog shone brightly on the streets near Nottingham Castle. Sarah decided to use some of the same techniques used in her lighting designs but on a much larger scale. Each ‘bottle person’ was made using different techniques and were built in different ways to give them character. 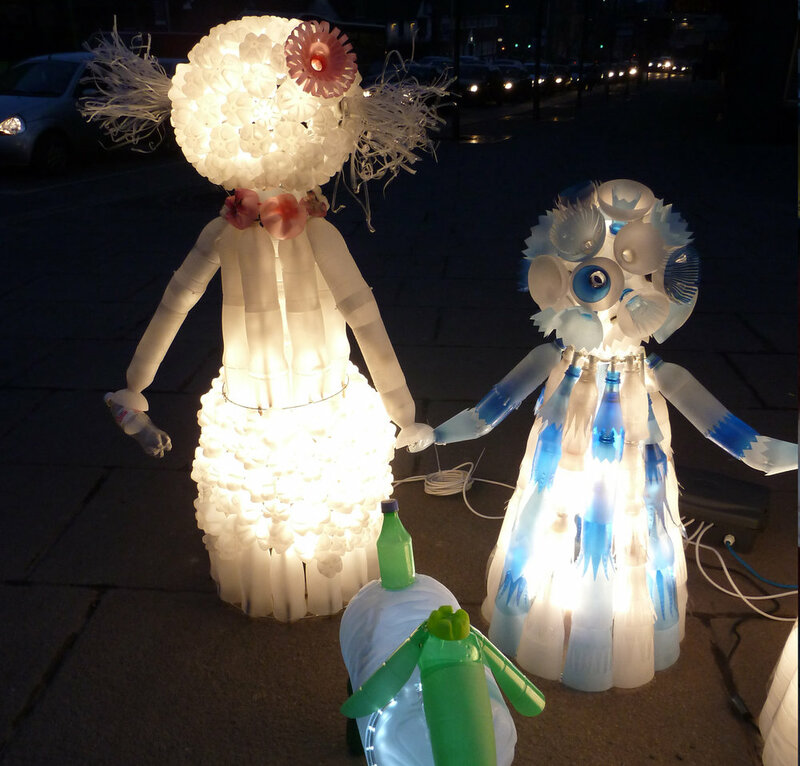 All the plastic bottles used in the sculptures were collected locally from cafes and households.